However you’re choosing potential sites to host your guest post, you need to spend some identifying them. Take a look around the sites and work out whether there’s any interaction between the sites and its readers. Usually this is by way of comments and you need to check a few pages to see whether or not the comments are helpful and contribute to the post made. It also helps if the owner and the guest poster answer any question or points raised in the comments. Much the same as you would do in a forum, go back to the site over the next few days and get better taste for it. This does involve time – there’s no shortcut for that – but can make all the difference between finding a good sites or not. Much like you wouldn’t spend time in a forum if you where the only one posting there, the same applies to sites where you are considering submitting a guest post. Once you have got a feel for the site, the next step is to contribute to it. That means adding your helpful comments to some of the posts. Keep a note of when you have placed a comments and how long it takes to approve. Sites that automatically approve comments are unlikely to have the kind of quality control standards that you’re going to need to make it worth your while submitting post. Sites that regularly accept guest posts usually have a page that tells you want they expect and how to send in your proposed post. This is maybe the easiest part of the process, assuming that you are already happy writing posts for your own sites and article sites or that you have created guest posts already. Follow the guidelines for you chosen site including writing style and length of the guest post. Make sure that you don’t pad out the post just to meet a word count – this should be amongst your best work, not some run of the mill stuff, as its showcase you. The double check your proposed guests post for spelling and grammar before sending it off and waiting. In the latest webmaster help video, Google’s Distinguished Engineer Matt Cutts Answering Questions to how can I guest blog without it appearing as if I paid for links? Video – Matt Cutts On How can I guest blog without it appearing as if I paid for links? Follow these basic Guest Blogging Tips to boost traffic into your website or blog. I have written this short article with my own experience. Does a site leveraging responsive design “lose” any SEO benefit compared to a more traditional m. site? This includes things like having a rel=”canonical” from the mobile version to the desktop version, and stuff like that. In general, I wouldn’t worry about a site that uses responsive design losing SEO benefit(s) because by definition, you’ve got the same URL, so in theory, if you do a mobile version of your site, if you don’t handle that well and you don’t do the rel=’canonical’ and all those sorts of things, you might, in theory, divide the PageRank between those two pages, but if you’ve got responsive design, everything is handled from one URL, and so the PageRank doesn’t get divided. Everything works fine, so you don’t need to worry about the SEO drawbacks at all. I am thankful that he confirmed my some doubts on this. Having a good responsive design won’t harm your search engine results. But, however, if you use a separate mobile version in the form of m.domain.com, unless you manage every thing accurately, you could possibly harm your ranking. I saw this news on Matt Cutts on Twitter and then “SHARE” it on Google+…I received excellent information, he explained this point very well….!! Does a website get a better overall ranking if it has a large amount of indexed pages? Is there a difference between the “strong”and & “b” tags in terms of SEO? 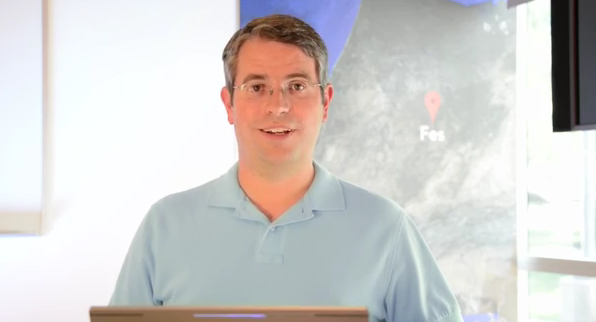 Video: Matt Cutts On How can I guest blog without it appearing as if I paid for links? How can I guest blog without it looking like I pay for links?